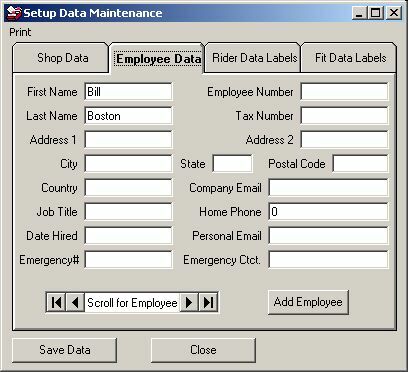 The Employee Data tab allows you to conveniently store information about fitters or coaches using the system. At the very least, you will need to enter a first and last name for every employee that may need to use this program. As you can see, the first record has been populated with my name. You will need to replace that with your name prior to using the Add Employee button to add records for additional users.